Author: Werner Pichler †. Series edited by: Harry Stroomer. The present study focuses on one of the two autochthonous writing systems of North Africa, the script of the ancient Berber people. The phrase Libyco-Berber script is a general term referring to all alphabets of this geometrical script which has been used for centuries in North African, Saharian and Canarian inscriptions, and is still popular among the Twareg. 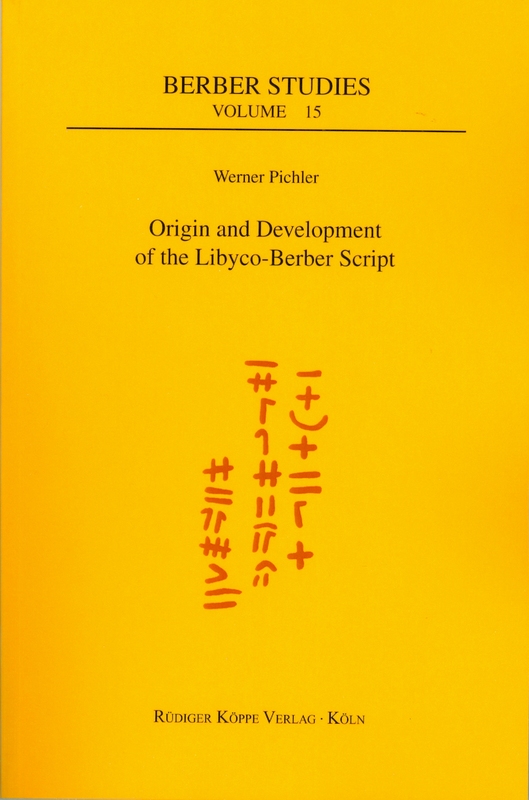 The first part of the book provides the reader with a critical survey of the various opinions which were set forth on the Libyco-Berber script since the XIXth century, with particular reference to its origin. The following chapters develop the author’s opinion on the two chief topics of the book: where does the Libyco-Berber script originate from? And how did it develop? As a result of his own investigation in the western part of the Libyco-Berber territory (Canary Islands, Morocco) the author felt encouraged to present new thoughts that unite elements of existing attempts in order to approach a coherent and plausible construct of ideas. Based upon principles of the economy and aesthetics of writing he tried to establish the theoretical system underlying the Libyco-Berber script. The fourth and main chapter is dedicated to the historical evolution of the script from the reconstructed proto-alphabet to the recently created Neo-Tifinagh. Some of the results are in contradiction to apparently well established doctrines, and thus the methodological investigations and original opinions – together with the amount of information and illustration – make the book a well-timed and stimulating one.